After posting my nail polish haul Friday morning, my Sparkle Canada order came unexpectedly early and I got it later that day! Of course what was in that order was the new Winter 2015 Collection (yessssss). I could NOT wait to get it swatched and posted here, but then I hosted family all weekend and on top of that my little boy was really sick. He finally seems to be on the mend today and my company went home yesterday, so I had some time to sit down and swatch this afternoon. I'll get that post up for you tomorrow! In the meantime, I wanted to show you these comparison pics I took a couple weeks ago when I still had my friend Austrian's bottle of The Perfect Cover Up. That bottle of polish served me well, and I had to take lots of pics while I had it! I featured it in my Fall 2014 Dress to Kilt post, as well as a One-Coat Wonder post. 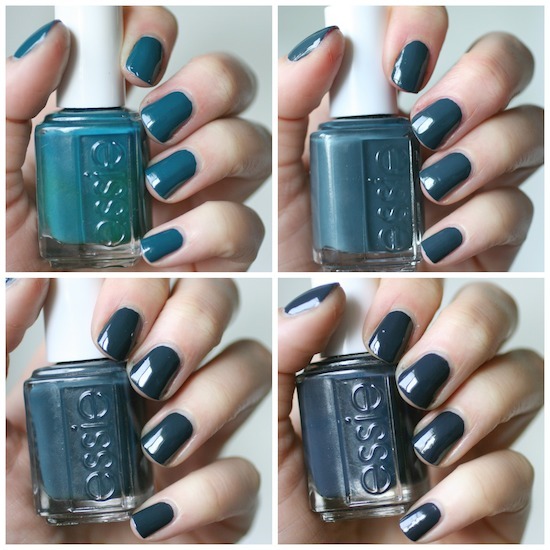 But after I posted a photo of it on Instagram, I got questions asking how it compared to other Essie dark teals. Which sparked the idea for THIS post, so I hope you find it helpful. The two polishes that I thought would be complete dupes were Mind Your Mittens and The Perfect Cover Up. While they are oh so very close, Mind Your Mittens is a tiny bit darker. It's actually very close to Bobbing for Baubles. 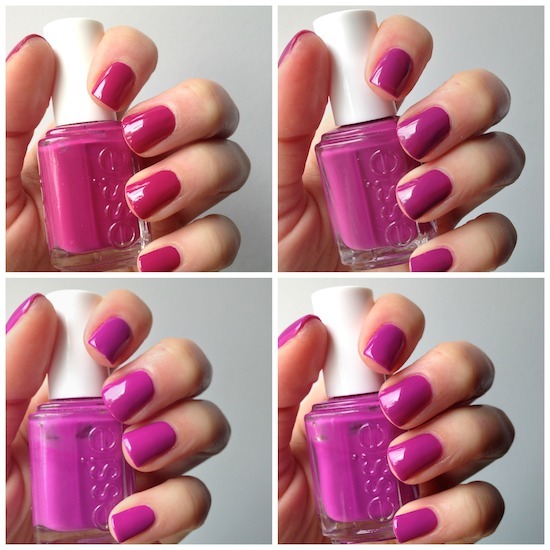 These four polishes together created a bit of an ombre effect. Go Overboard has always been a favourite of mine. It came out in the Spring of 2012, not released as part of a collection, but it was automatically added to the permanent line. I can definitely see why: the colour is fantastic and so is the formula. It's a creamy and opaque formula and perfect in one coat. 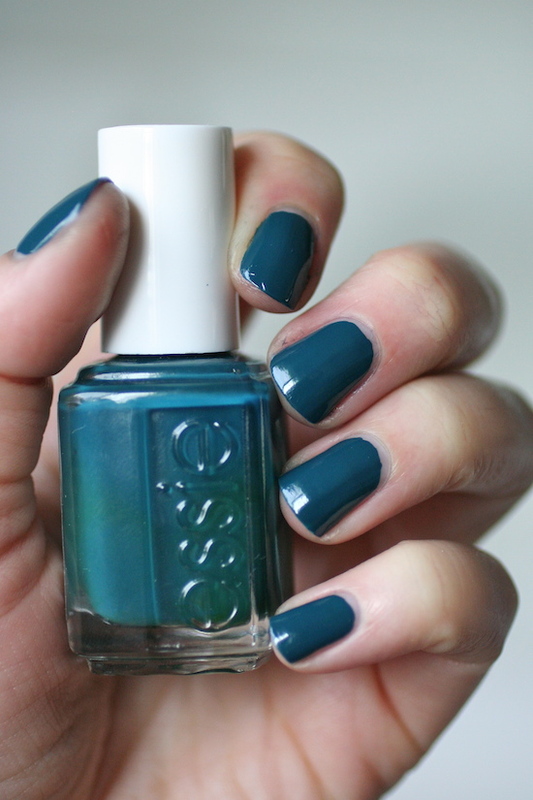 Between the four polishes compared, this one is the lightest and most "teal" looking. This had literally the exact same formula. Super easy to use, creamy, opaque and another one-coater. It's darker than Go Overboard with a touch more blue. 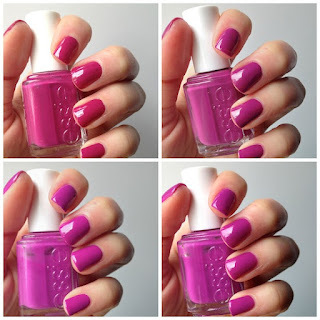 Like I said earlier, this came out Fall 2014 and if you want any other details on this polish, visit this post here. 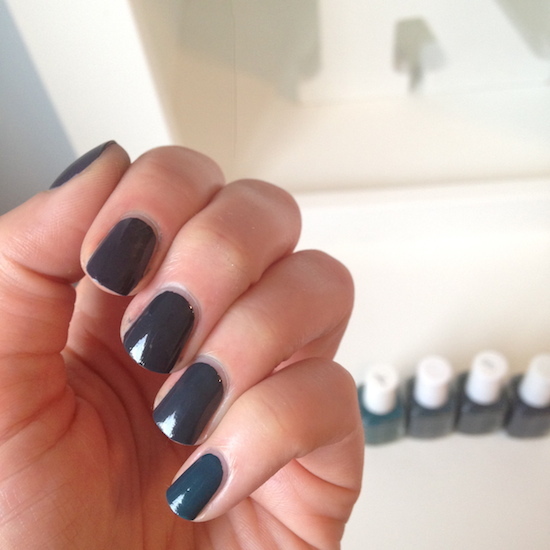 This polish was released in the 2013 Winter Collection and was the reason I never bought The Perfect Cover Up. I already owned this one and to me, it looked like the exact same colour. While its not EXACTLY the same, they are quite close. I would say that Mind Your Mittens seems to have less teal and a bit more dark and dusty blue. It's also not quite as opaque as The Perfect Cover Up. It still has a great formula though and is opaque in 2 coats. You could get it opaque in one thick coat if you really wanted to. Also a word of caution: use a good base coat with this one as it stained my nails/cuticles blue. I've always loved Bobbing for Baubles, it was actually the star of my first post on this blog. The formula is wonderful. It's creamy and opaque and perfect in one coat (again). 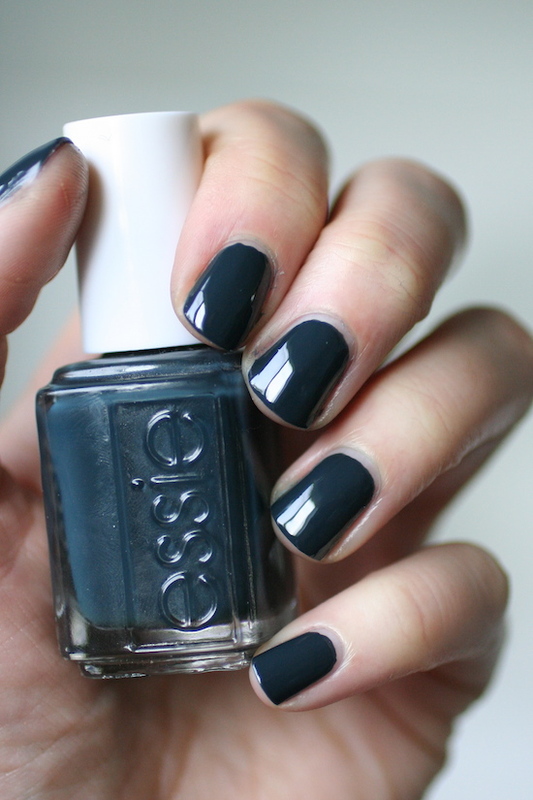 Apparently, Essie gets the formula right on these teal and dark blue cremes! 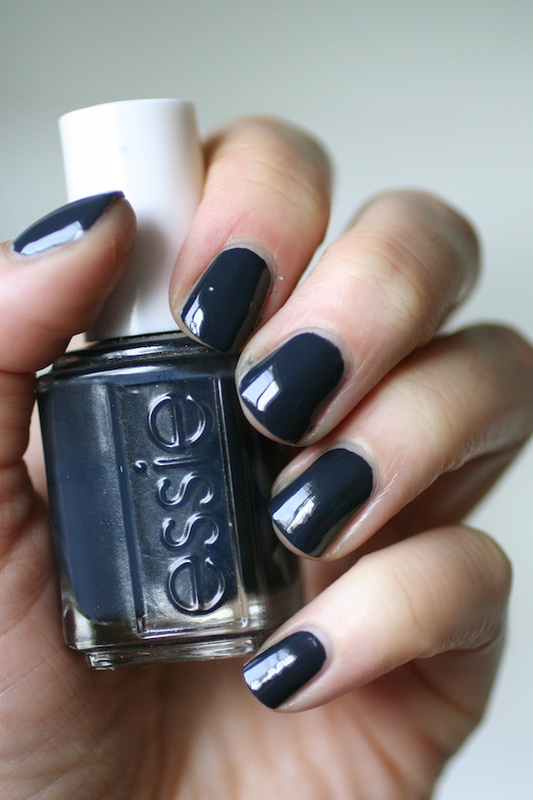 To be honest, this colour is not teal at all and definitely more of a dusty navy blue. But the sapphire tones of this polish went really well next to the deep, dark diamond teal of Mind Your Mittens, so that's why it got to make an appearance here. P.S. this one stained my nails/cuticles too, so again use a good base coat. 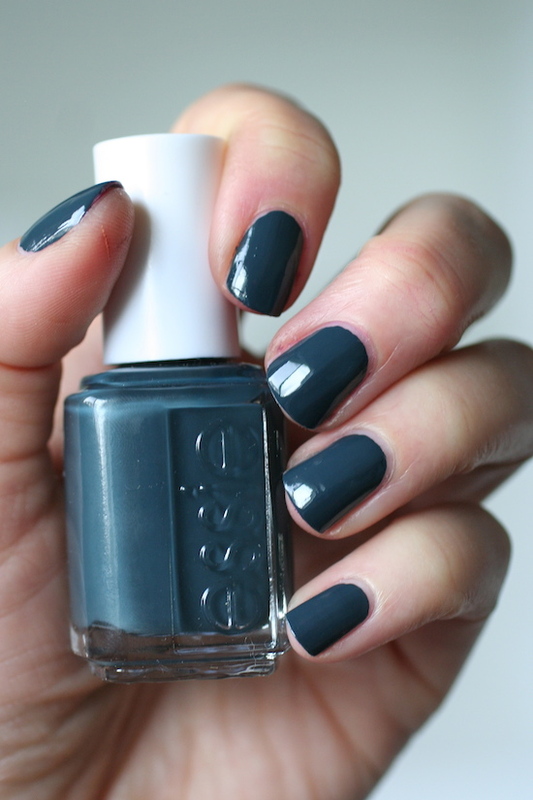 I had some seriously blue nails after doing the swatches and pics for this post! 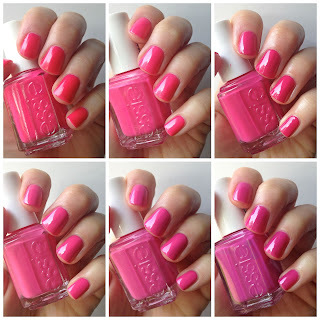 Here they all are swatched side by side on my nails. The ones that are the closest are Mind Your Mittens and The Perfect Cover Up. The differences between them are so slight, that next to each other on the nail its hard to tell them apart. If all my nails were painted Mind Your Mittens, then the whole mani would look a bit darker and bluer, while The Perfect Cover Up would look more teal. Here they all are in different lighting with a different camera (my iPhone). I wanted to add this pic because this shows how truly close they look on the nail. You can see that Bobbing For Baubles and Mind Your Mittens are super close as well, but it's lacking the greenish tones that a true teal would have. If you were to pick up ANY one of these colours, you would be getting a fantastic polish with a fantastic formula. But could I pick a favourite? Oooooooh, that's so hard! Nope, I don't think I could. I need Go Overboard because it's that lighter true teal colour, and Bobbing for Baubles is a perfect dusty navy creme....but I could maybe live without Mind Your Mittens if I owned The Perfect Cover Up. Between the two, I do like The Perfect Cover Up a bit better. But since I don't own it, I'm perfectly content with my bottle of Mind Your Mittens. What's your favourite polish among these four? Yes that color is awesome!